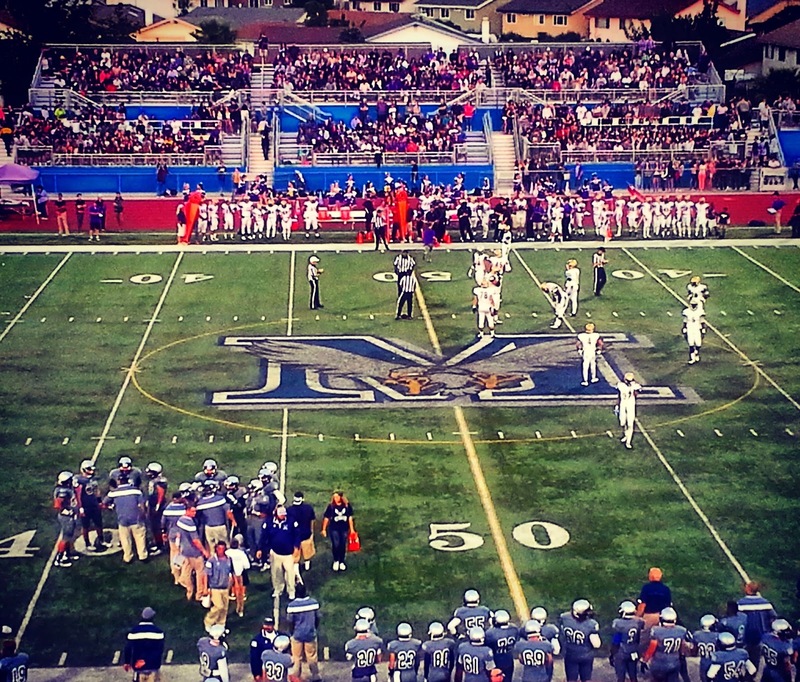 Madison High will be one of many venues around the county where league champions are crowned this Friday. Winning seasons, perfect seasons, league titles, playoff berths, and hometown bragging rights will all be on the line during a stacked regular season finale. Here's a preview of six "winner take all" league championship games that could make this upcoming Friday night of football one of the best in San Diego Section history. Breakdown: For the last ten seasons, the Grizzlies and Knights have battled for supremacy over the city of San Marcos in what's known as the Discovery Bowl, but the stakes have never been this high. The Knights will attempt to complete their first perfect regular season since 1966, while Mission Hills try to extend their winning streak in the rivalry to 10 games and hold on to their spot in the Open Division playoffs. The only game San Marcos won in this series was the inaugural matchup in 2004, during the Grizzlies' first season of football. Players to Watch: Mission Hills senior Dechaun Holiday, who was recently named to the U.S. Army All-American team, caught a 31-yard touchdown pass in last week's 49-7 win over Vista. But it was fellow two-way player Martel Holmes who led all receivers with three touchdown catches that night. The San Marcos defense features junior Joah Robinett, who leads the team with 12.5 tackles for loss, and ties senior Anthony Zuniga with 7.5 sacks. Anchoring the offensive line for the Knights is senior tackle Kevin Estes. Breakdown: El Capitan is one win away from a undefeated regular season, but standing in their way is a perennial power who are winners of their last 31 games against East County opponents. While the Vaqueros aren't included in that impressive streak, they haven't been victorious over Helix since 1996. The last meeting between these teams took place in 2004, with the Highlanders coming away with a 34-13 victory. Since suffering their only loss of the season, Helix has won their last six games, outscoring each of those opponents by more than 40 points. Players to Watch: Helix running back Nathan Stinson rushed for 170 yards and three touchdowns during a 56-10 rout over Grossmont. El Capitan also had a strong showing in the run game last week as senior D.J. Smith ran for 159 yards and three scores in a 34-14 win at Mount Miguel. Breakdown: The blue turf in Santee will be the stage where the other league championship in the Grossmont Conference is decided. This should be a great matchup between two teams trying to escape a 10-year league title drought. Monte Vista took Holloween off after defeating Granite Hills 31-28 on October 24th. West Hills is fresh off delivering a 53-11 blowout to crosstown rival Santana. Players to Watch: The West Hills offense is led by junior quarterback Spencer Moyer. His leading receiver is senior Raphy Carr, while fellow senior Jacob Shaw leads the rushing attack. The offensive spark for the Monarchs come from junior running back Tre Owens. Breakdown: Despite the result of this game, Montgomery will end it's 2014 regular season with a losing record. On the bright side, a win for the Aztecs would make them outright league champions for the first time in program history. Their first and only title was shared back in 1986. Castle Park is 4-0 at home this season, and have outscored their last two opponents 90-0. They're looking for their first league title since 2008. Players to Watch: With five interceptions on the season, Montgomery defensive back Patrick Woolstenhulme is in a five-way tie for the most in the county. On the other side of the ball, senior Charles Crawford rushed for 211 yards and four touchdowns as the Aztecs cruised to a 43-6 win at Southwest. Offensive tackles Alfredo Gutierrez (Montgomery) and Angel Juarez (Castle Park) are featured on KUSI's Iron Hog Watch List. Breakdown: Another win for Sweetwater will extend the county's longest active winning streak to 18 games. If Mater Dei pulls off the upset, they'll end the regular season with four straight wins and earn their first league title since 2012. Players to Watch: Sweetwater packs one of the biggest one-two punches in the county with a senior-laden rushing attack starring Raven Middleton and Antonio Garcia. The two combined have put up a total of 1,941 yards and 23 touchdowns in the run game. Fellow senior Cecilio Portillio is also getting a piece of the action with 345 yards and eight touchdowns of his own. Senior linebacker Conner Finnestad leads the Mater Dei defense with 101 total tackles and five sacks. Breakdown: Since 2006, the only Western League game Madison failed to win was a 13-13 tie with Point Loma in 2011, which resulted in both teams sharing the title. The Warhawks will be looking to make it eight consecutive seasons with at least a share of the crown, but first they must get pass the Pointers, who might still have a shot at landing in the Open Division playoffs. Point Loma's only loss this season was a 7-6 edging by Ramona in Week 2. They've won their last seven games since then. Madison is on a six-game winning streak after starting the season 0-3. Players to Watch: Senior running back Isaiah Osborne went over the 1,000-yard mark after exploding for 223 yards and two touchdowns during Madison's 38-31 win over La Jolla. He now has 1,037 yards and 11 touchdowns this season. Senior quarterback Kareem Coles can put up points through the air and ground. So far this season, the KUSI Silver Pigskin contender has 18 touchdown passes and 10 scoring runs. Junior Jaylen Griffin powers the run game for the Pointers' offense.